How to Predict Forex Events using Fundamental Analysis ? 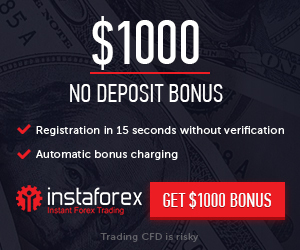 If you are new to the foreign exchange market, one of the first things you need to do is to be able to predict what the market is going to do. One of the main techniques that are used in order to do this is fundamental analysis. Fundamental analysis attempts to predict how the market is going to respond based upon predicted or actual events. These events can be anything, including political and economic information and environmental or natural disasters. Technical analysis and fundamental analysis can be a reliable method of predicting what will happen in the foreign exchange market and how currency rates will react to certain information. Technical analysis looks at trends and previous information related to the market. Fundamental Analysis, on the other hand, looks at predictions. It determines how the market is going to react based upon certain current events and how these events will change currency prices. An economics calendar is available to traders who would like to be able to effectively trade using fundamental analysis. An economics calendar is based upon existing data and can help a trader predict what is going to happen in the market. It is a tool that can be used to decide when to buy and sell and where to place stop losses. It is important to watch interest rate levels when using fundamental analysis. Increasing interest rates can mean that a country’s currency is strengthening. Unemployment rate is a second factor to keep an eye on. An increase in unemployment can mean that an economy is suffering and can decrease the value of a currency. The third factor to be aware of is the GDP or Gross Domestic Product. If a country has a high GDP then more than likely the currency is going to perform well. It is also important to keep in mind that in most trades on the Foreign Exchange Market, the US Dollar is somehow involved. Therefore, you need to pay close attention to the economic information that comes out of the United States. How Fundamental Analysis Influence on Your Trade ?